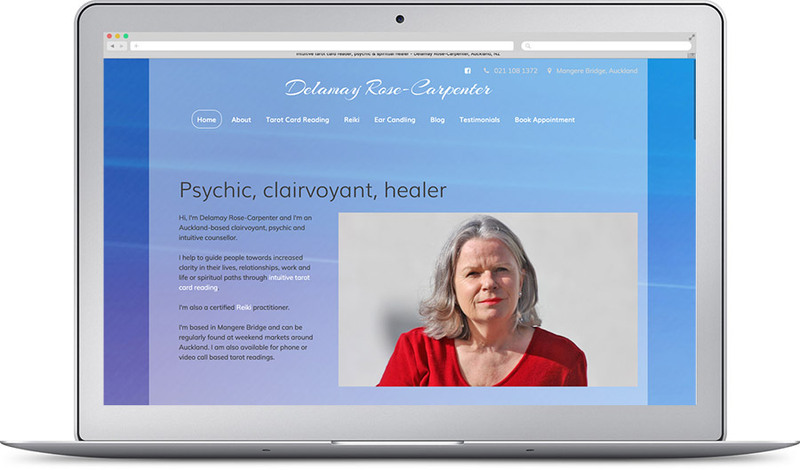 Delamay Rose-Carpenter - Auckland-based clairvoyant, psychic and spiritual healer. This website posed me with a challenge. Not a technical one but one of understanding and conveying information. During the process, I was fortunate enough to have a reading from Delamay, to provide me with insight into her world. It was fascinating and I believe she's the real deal. That experience didn't automatically equip me to be able to convey what she does in her website and we had a lot of help from beings that are not in this realm but between us all, I'm pretty happy with the outcome.